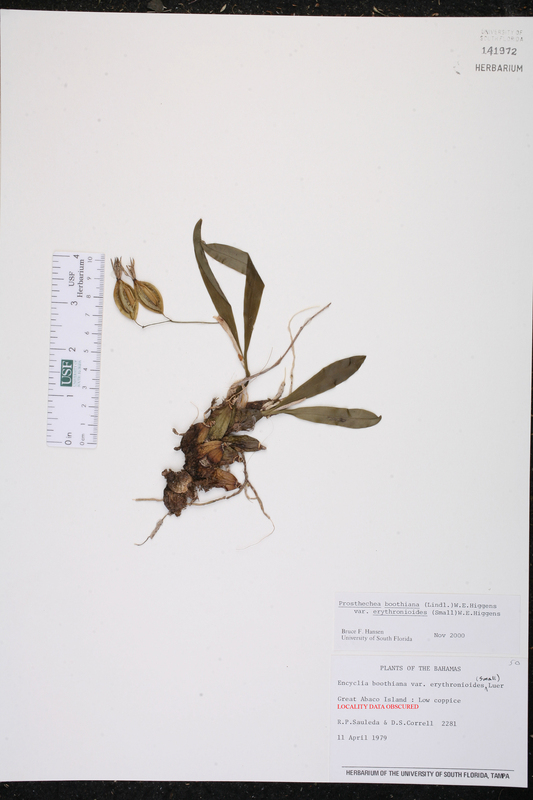 Citation PROSTHECHEA BOOTHIANA (Lindley) W. E. Higgins, var. ERYTHRONIOIDES (Small) W. E. Higgins, in P. M. Brown, N. Amer. Native Orchid J. 5: 18. 1999. Basionym: Epidendrum erythronioides Small 1903. Type: FLORIDA: Monroe Co.: Key Largo, Nov. Curtiss s.n. (holotype: NY). Encyclia bidentata subsp. erythronioides Encyclia bidentata (Hemsley) Hágsater & Soto Arenas, subsp. erythronioides (Small) Hágsater, Orquidea (Mexico City) 13: 216. 1993. BASIONYM: Epidendrum erythronioides Small 1903. Encyclia boothiana subsp. erythronioides Encyclia boothiana (Lindley) Dressler, subsp. erythronioides (Small) Hágsater ex Christenson, Lindleyana 11: 15. 1996. 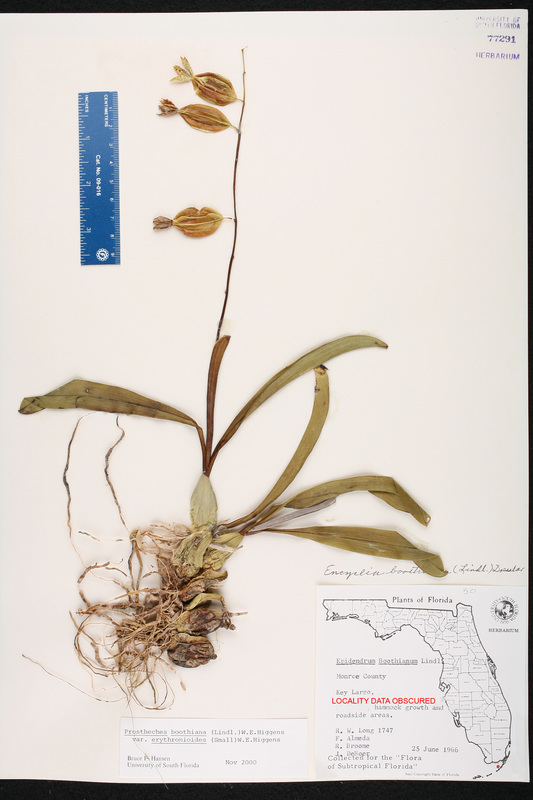 BASIONYM: Epidendrum erythronioides Small 1903. Encyclia boothiana var. erythronioides Encyclia boothiana (Lindley) Dressler, var. erythronioides (Small) Luer, Florida Orchidist 14: 29. 1971. 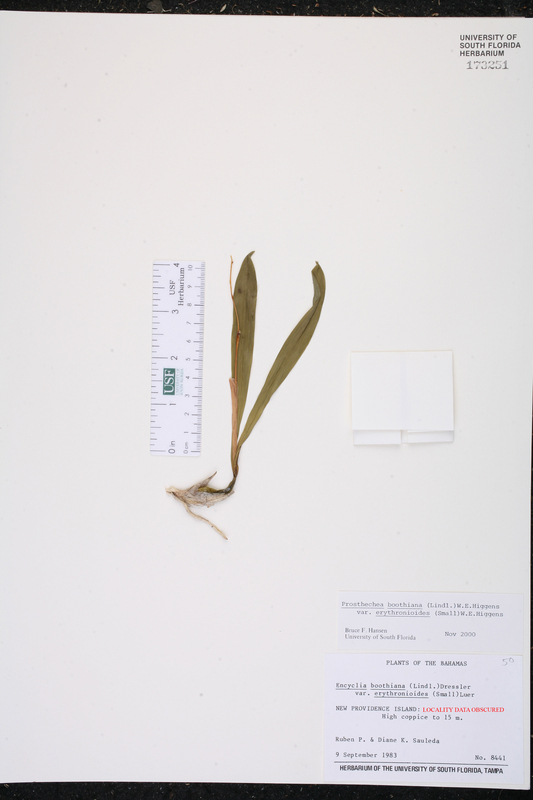 BASIONYM: Epidendrum erythronioides Small 1903. Epicladium boothianum var. erythronioides Epicladium boothianum (Lindley) Small, var. erythronioides (Small) Acuña, Cat. Descr. Orq. Cub. 89. 1938. BASIONYM: Epidendrum erythronioides Small 1903. Epidendrum erythronioides Epidendrum erythronioides Small, Fl. S.E. U.S. 328, 1329. 1903. 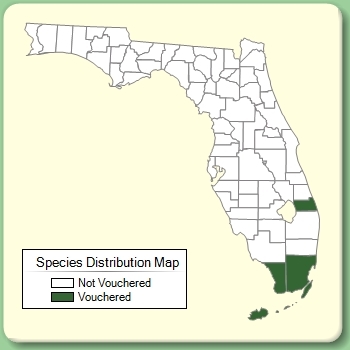 TYPE: FLORIDA: Monroe Co.: Key Largo, Nov. Curtiss s.n. (holotype: NY).